The people at Harbourside Village have made their way here from far and wide in search of an ideal, quiet retirement location, finding it here at our Coastal Lifestyle Village. We hail from around Australia, United Kingdom, USA, Ireland, Italy, Argentina, South Africa, Kenya, Zimbabwe, et al. We have been Farmers, Fishermen, Merchant Seamen, Public Servants, Pilots, Navigators, Academics, Teachers, Doctors, Nurses, Bankers, Builders, Trainers, Business People, Analysts and many other things besides. Our varied life experiences make for interesting encounters for those who care to engage with us. We think of it as a private oceanside resort, with good reason. 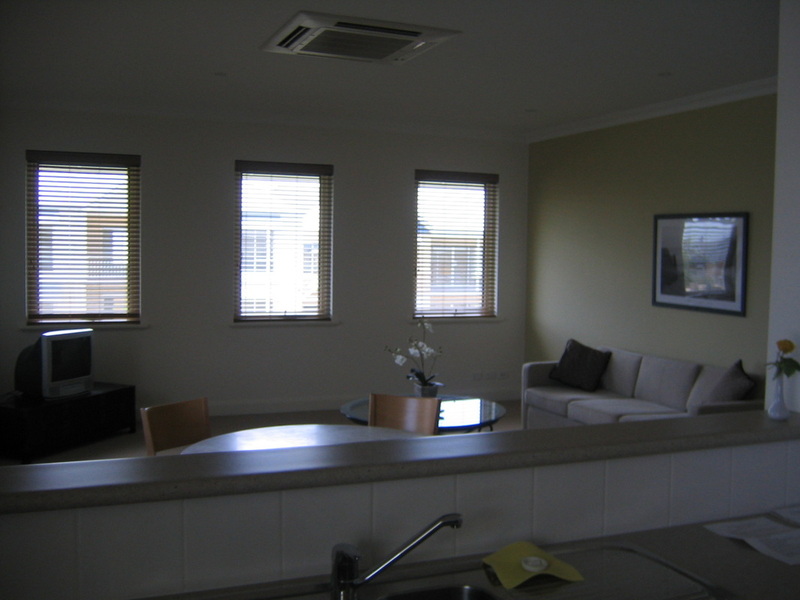 Our secure environment is located in a very pleasant coastal suburb on the northern beaches of the Sunset Coast. Many of our residents continue to travel the world experiencing new adventures, happy in the knowledge that our secure lock-and-leave facility will make their return a pleasure. They cruise the world on some of the ocean's most luxurious ships to the far corners of the world, and when they return there will be coffee, bread, milk and eggs in the 'fridge! That's what our neighbours are all about. GROUND FLOOR - Reception in the lobby with a sweeping staircase; Lift to upper level; Offices; small Kiosk, Lounge/Dining Room; Cafe & Bar; Kitchen, Library; Snooker room; Gymnasium; Pool; Shower facilities; and a Terrace & BBQ area; all set in a lovely garden environment. It also features a two-rink synthetic lawn bowling green. UPPER LEVEL - A lounge and balcony overlooking the harbour featuring a large-screen DHD TV and Music centre; Kitchen; Hair Salon; Craft room; professional consulting room; Boardroom/Meeting room; Media (Computer) Centre and a Sales office. We also have a lovely fully self-contained guest apartment over the entrance portico, available for you to book at any time to house visiting family or friends. Contact reception for further information or to book. Good boating facilities are available on the harbour and berths can be leased. There is also another, larger harbour and leisure facility at Sorrento Quay about 15 kilometres south of Mindarie, which also features the Hillarys Yacht Club. The village maintains a 12-seater bus for use by residents for visits to local attractions, wineries or the theatre. We also have a 4-seater eCar for movement around the village.